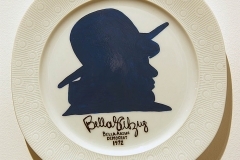 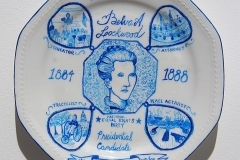 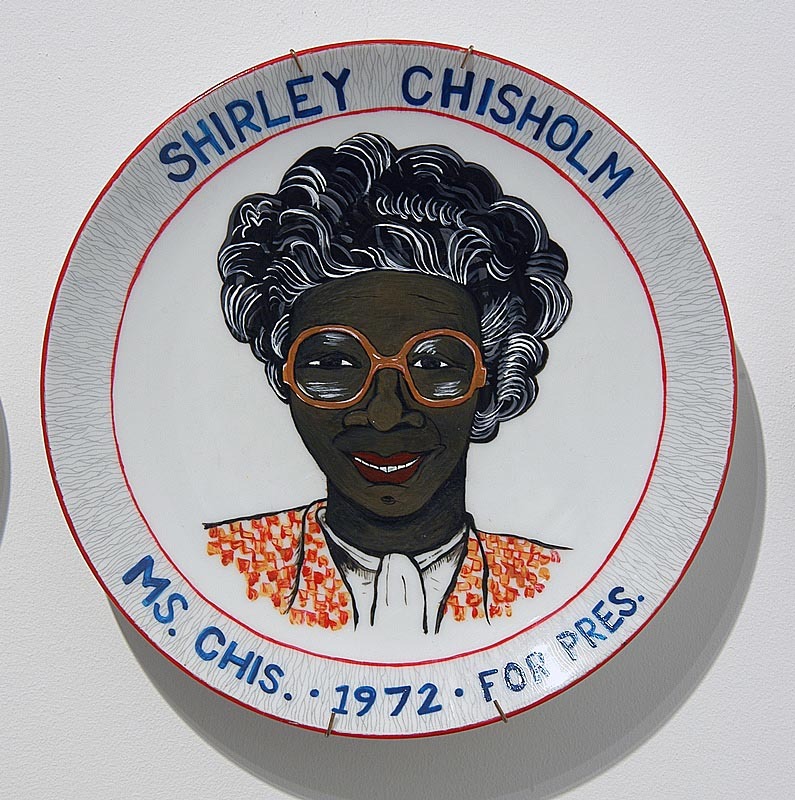 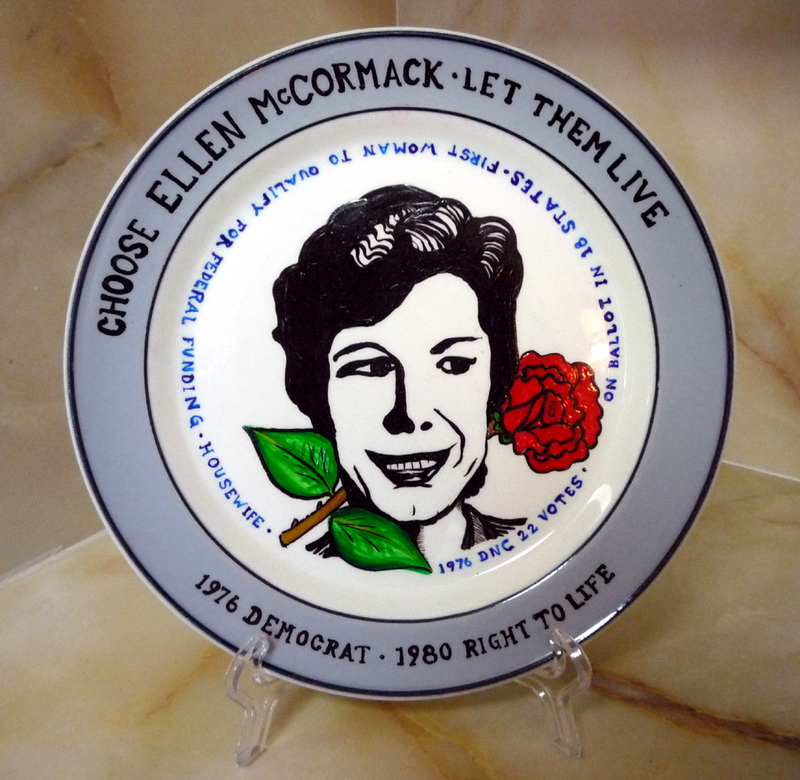 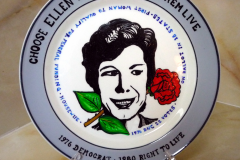 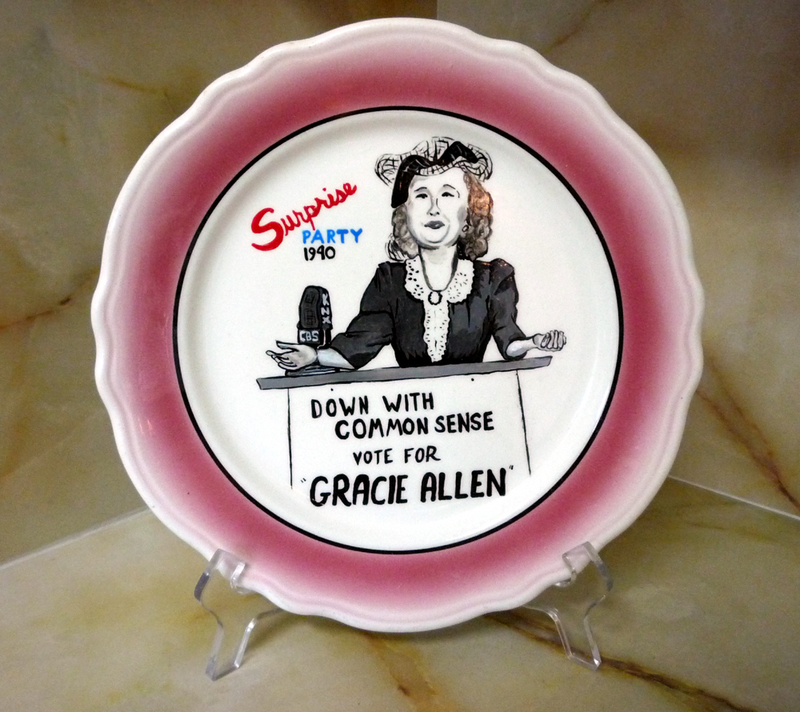 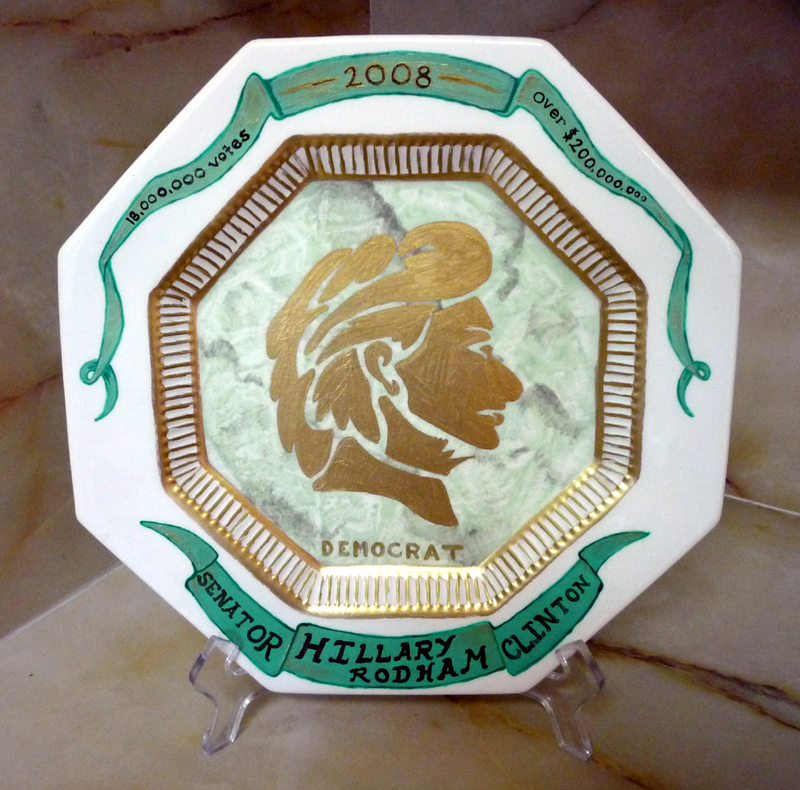 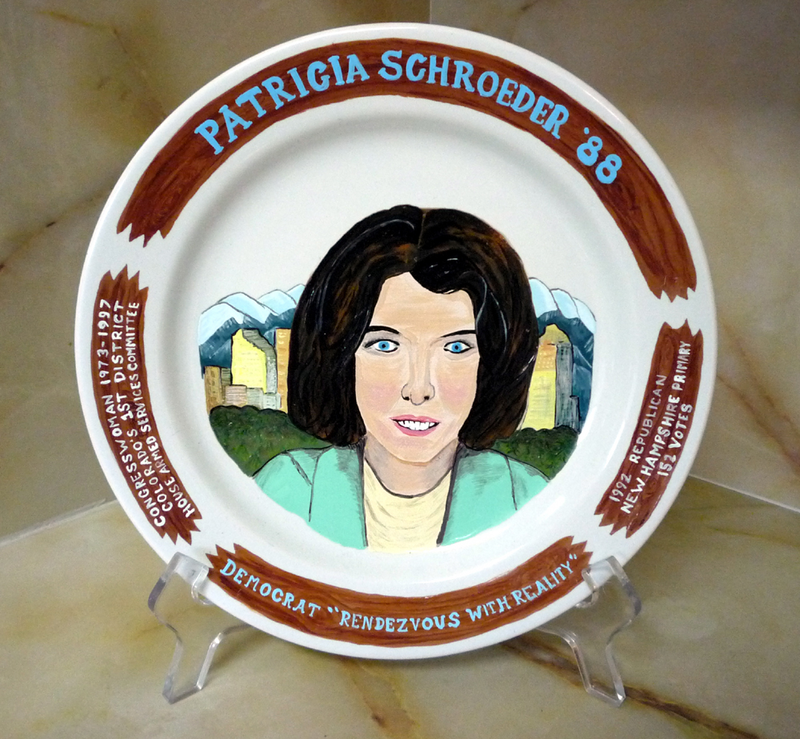 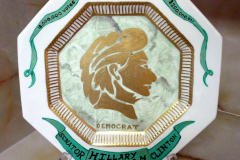 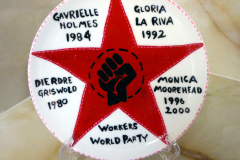 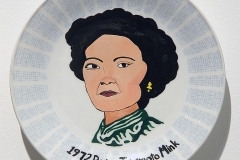 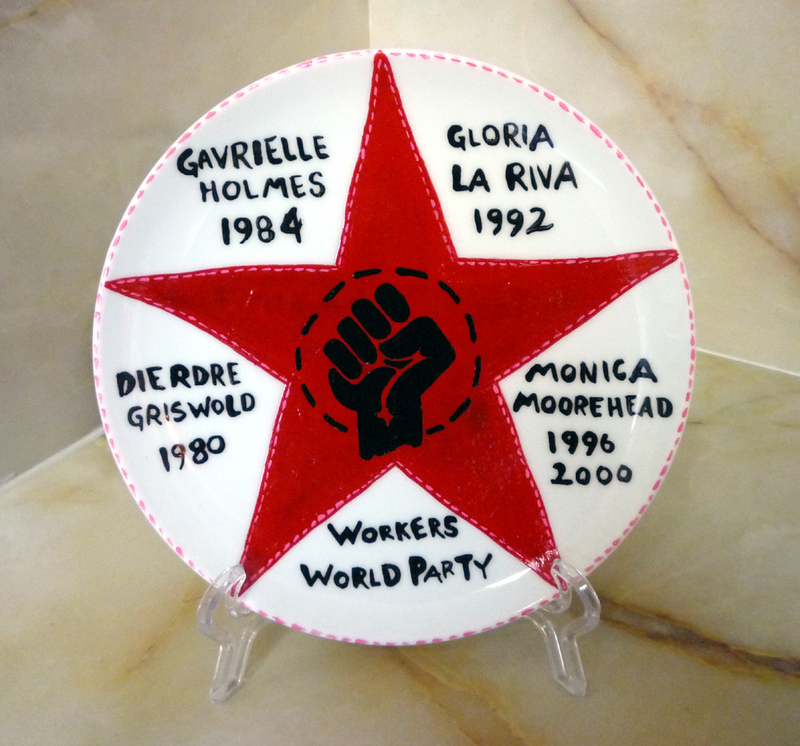 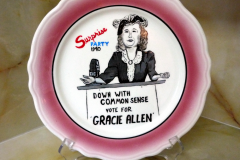 These plates are hand painted with portraits of some of the first women to run for President of the United States, each in a style relevant to the era of her campaign. 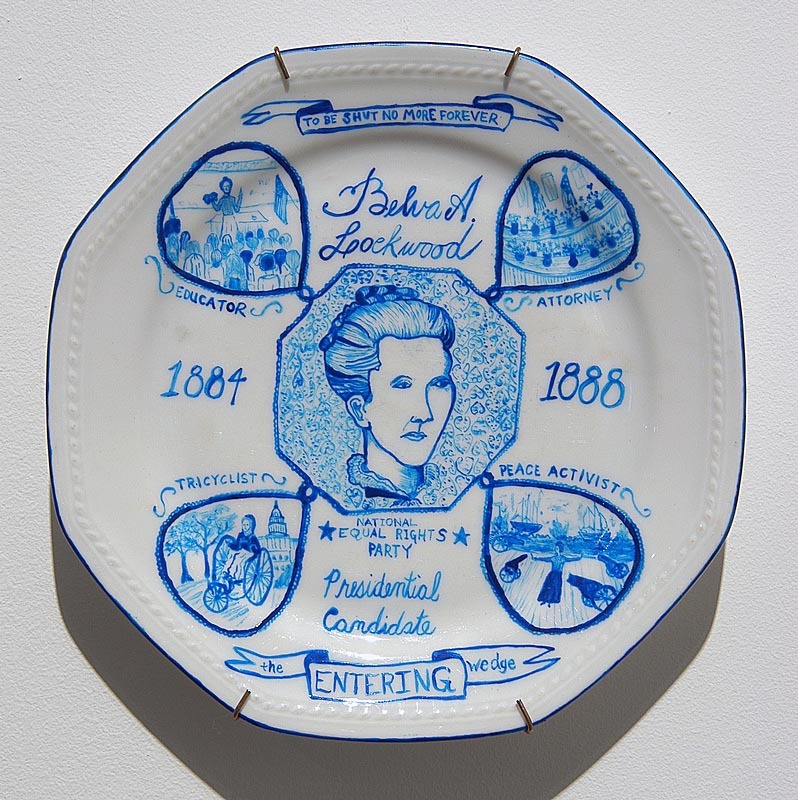 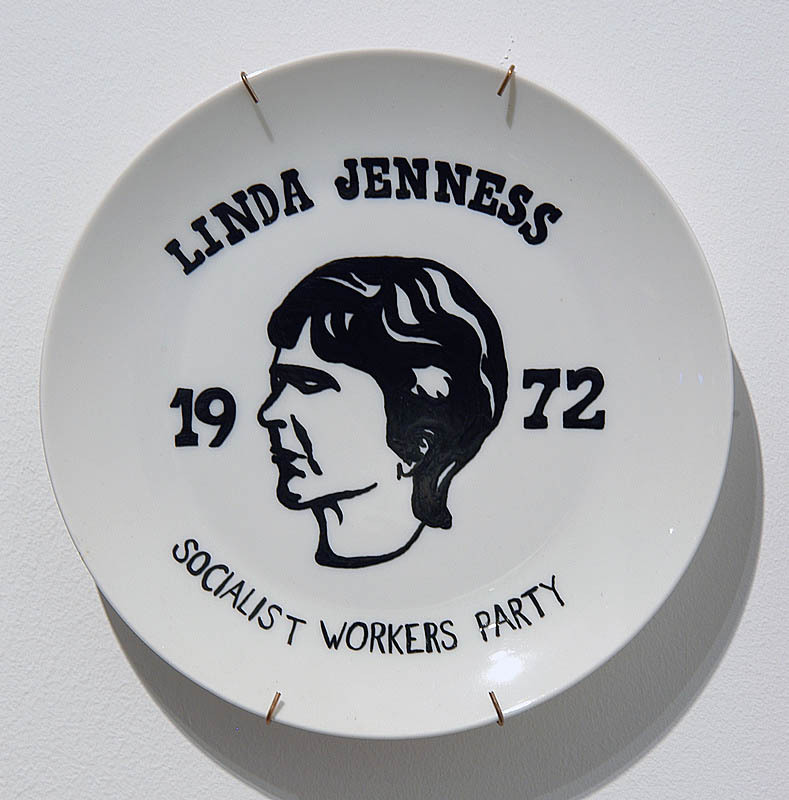 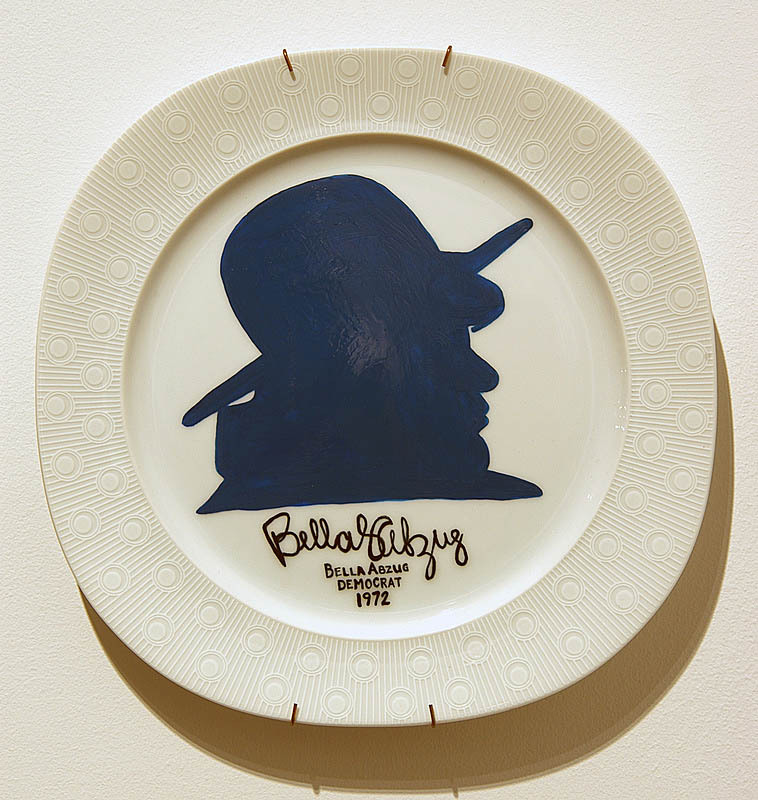 The collectible plate is a familiar element of presidentiana, the fetishization of the image of the President’s image in popular culture. 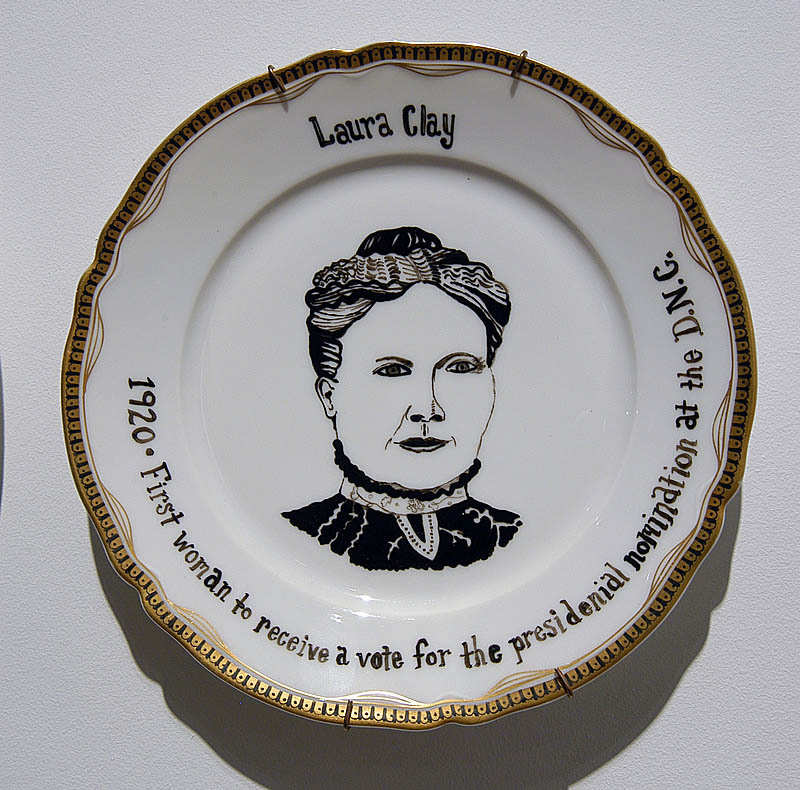 There have been about 40 female presidential candidates since the mid 19th century, although none has earned the endorsement of a major party. 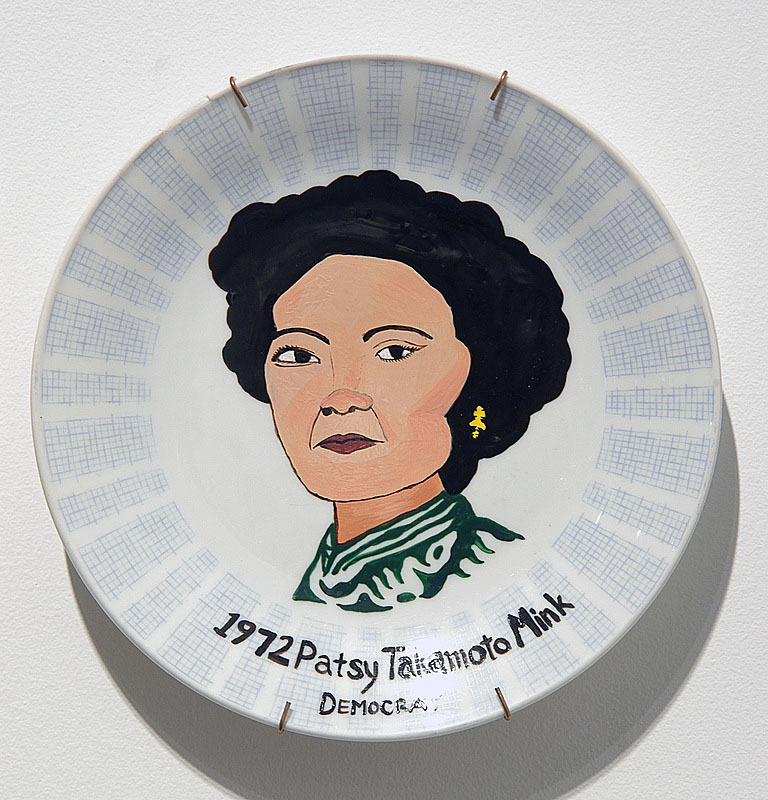 Examining the gendering and crafting of history and power, this collector’s set contrasts commercially available history with the political marginalization of the women and people of color visible in these images of leadership and patrimony. 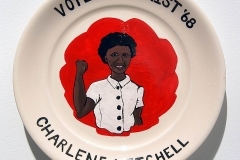 The candidates and their stories are largely unknown today, although a number of them were major players in their times. 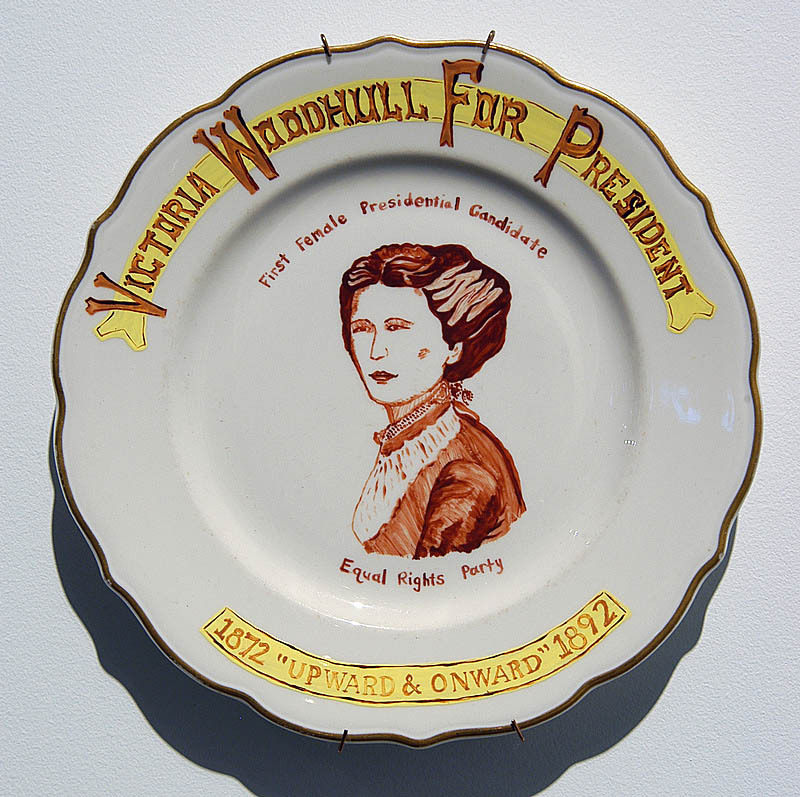 Victoria Woodhull, whose running mate was Frederick Douglass, was the first female stockbroker on Wall Street and owner of the newspaper that first published the Communist Manifesto in English. 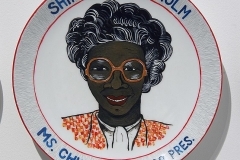 Margaret Smith, Shirley Chisholm, Bella Abzug, and Patsy Mink all served in the legislature in the mid-twentieth century. 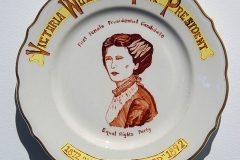 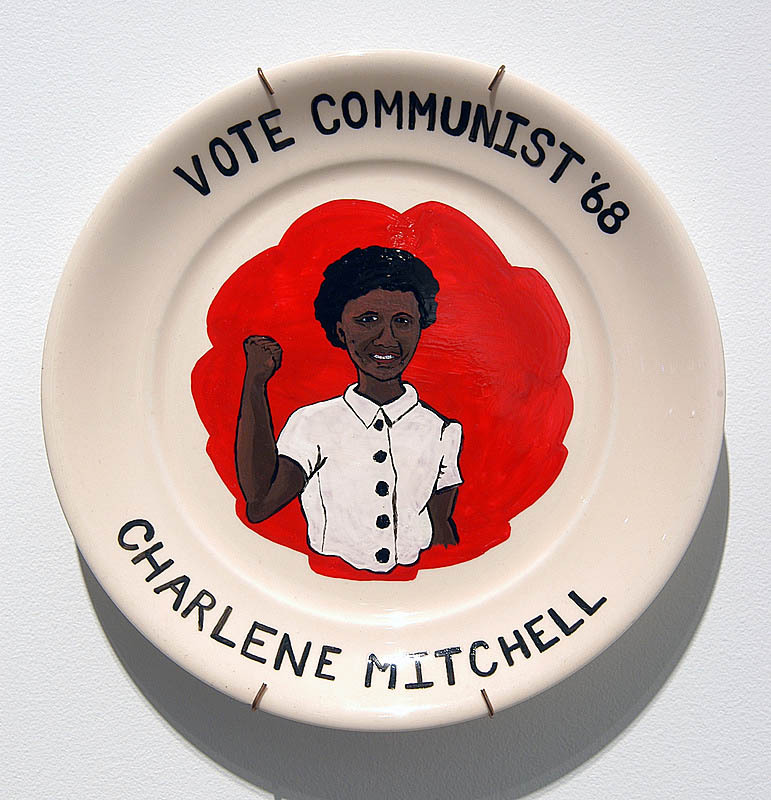 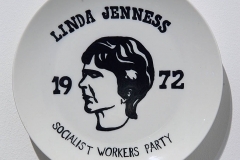 I offer this series of plates as a small corrective gesture, which simply points to a noticeable gap in the arc of our national historical narrative: there has not yet been a woman at the helm. 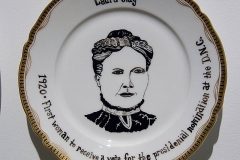 WBAI radio producer Amber Cortes and I produced “Lady Presidents,” a short documentary about the ten candidates that aired on International Women’s Day in 2006. 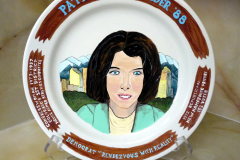 You can listen to the documentary on PRX.